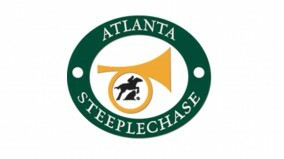 Though it’s been held for more than half a century, the Atlanta Steeplechase won’t run again. Organizers recently announced that this year’s event—held April 22 at the Kingston Downs course in Kingston, Ga., as a benefit for nonprofit Bert’s Big Adventure—was its last. Guy Torsilieri, president of the National Steeplechase Association, said he’s saddened by the termination of the race but not surprised by the decision. Torsilieri said that the NSA has been working with the race for years to revive it. “We’re constantly looking to grow the sport,” he said. “Having said that, you have to keep every meet you have and can’t lose the smaller races as you’re bringing in new ones. In 1997 the race moved to the Kingston Downs property in northwest Georgia, just over 60 miles away from Atlanta. “I think part of their decline was when they moved from the successful closer location to the present location a long way from the Atlanta region,” Torsilieri said. Additionally, the event struggled with conflicting dates of other races and decreasing purse amounts. In 2008, the purse of Georgia Cup was $100,000. In 2011 it was $50,000, and this year it was set at $35,000. This year’s feature race had only four starters.